Zagato let fly with a new set of images of its Diatto Ottovu project, a commemorative plate vehicle signifying 100 years of the Diatto marque. That company was once the builder of royal transport and proto track-day rides. 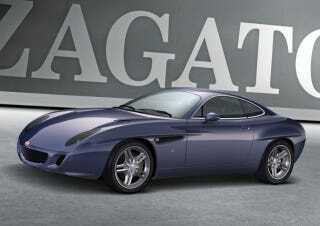 Zagato plans to show off its tribute at the Geneva motor show next week. We'll see how it stands up next to the Fiorvanti Thalia.